Dr. Teh Chee Ghee is a Senior Lecturer in the Accounting and Finance Department, and the Deputy Director (Development and External Engagement) for the Entrepreneurship and Innovation Hub (eiHub) at the School of Business. He is also the Deputy Director, MBA Program at Monash University Malaysia. He is presently a Council Member of the Malaysian Institute of Certified Public Accountants (MICPA). Dr. Teh served as the Head of Research of the Socio-Economic Research Centre (“SERC”) on a part-time retainer basis for two years from 2014 to 2015. SERC is an independent think-tank initiated by the Associated Chinese Chambers of Commerce and Industry of Malaysia (“ACCCIM”) to promote the advancement of socio-economic development in Malaysia. 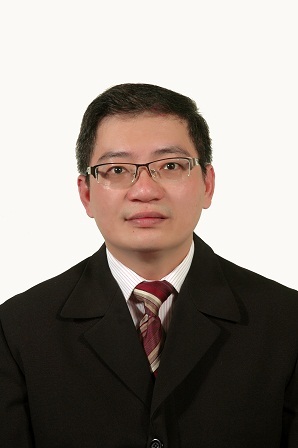 Prior to moving into his academic career in the year 2012, Dr Teh has more than 20 years of illustrious working experience in the corporate and professional services sector in the area of auditing, corporate consulting and restructuring, initial public offering (IPO), mergers and acquisitions (M&A), group management, operations and credit management; having worked for a global auditing firm and several public-listed and private group of companies in Malaysia with exposure to Indonesia, Lao PDR, China and Singapore. His principal research interest is in corporate governance, auditing and financial reporting, corporate treasury and trade credit management, capital markets, Asian business strategy, strategic planning and socio-economic issues. Teh Chee Ghee, Sum Kum Mooi, Michelle Lee Meng Sang, (2015), “An initial review of the implementation of the Malaysian minimum wage order: A case for a win-win intention, implementation and enforcement”, The Journal of Developing Areas (JDA), Volume 49, Number 4, Fall 2015.